When preventative measures of weed management do not adequately control weeds in the field, direct weed control may be necessary. Although the most common method of direct weed control is with herbicides, there are also non-chemical weed control options available to farmers. Mechanical and biological control practices are commonly used on organic farms and have the potential to also allow conventional farmers to reduce herbicide use and risk. 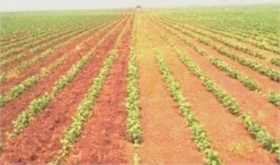 Read more about non-chemical weed control options in the topics found in the left navigation bar.